When Sarah Montgomery finds a man lying half dead in the snow, she doesn’t stop to think of the consequences of trying to save his life. But being a Good Samaritan yields nothing but trouble. In her parents’ absence, she struggles against a deadly fever and a vicious snow-storm, doing her best to save the life of a stranger. But when her self-righteous neighbours eventually come to see how she fared during the storm, they draw a very different conclusion. Before she knows it, her reputation is in tatters, and she has been cast out of the church and her home. Alone and destitute, Sarah is determined to seek work as a servant from the man whose life she has saved. But all is not well for the master of Mellington Hall. Someone wants Lord Alan Mellington dead, and he doesn’t know who or why. The only person he seems to be able to trust is the gamekeeper’s daughter, Sarah Montgomery, who has intervened to save his life not once but twice. This story blending mystery, scandal, murder and romance comes from one of Australia’s best-loved authors, Meredith Resce. The first thing that drew me to this novel, apart from the fact that it is written by Meredith Resce, was the cover. This has to be my favourite cover of the books I have read this year. It just evokes that sense of murder-mystery and romance. The story inside didn’t disappoint either. Set in a time when some of “the church” operated in condemnation rather than grace, Sarah Montgomery’s reputation is torn to shreds, because of a conclusion drawn in a moments notice, without anyone truly seeking the truth. Sarah has a strong character however and fights to get her repuation righted again, seeking the aid of Lord Mellington. The road to restoration is not as smooth as hoped, with several attempts on Lord Mellington’s life by an unknown person. In solving the mystery and fixing Sarah’s reputation, the two have a lot on their plate, and the story twisted with a surprise near the end. Who is the would-be murderer? A great read for those who like a bit more action with their romance. 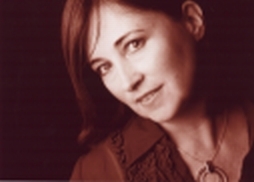 South Australian author, Meredith Resce, has been writing since 1991, and has had books in the Australian market since 1997. Following the Australian success of her Heart of Green Valley series, an English publisher has taken the first three books in this series, and has released them to the Brittish and American markets. You can watch the promotional video for the first book in the series, The Manse – Meredth Resce, here. 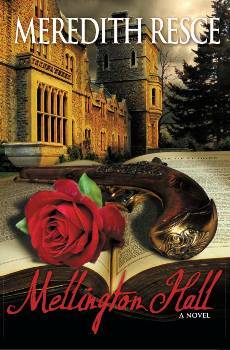 Mellington Hall is her 14th novel published. Apart from writing, Meredith also takes the opportunity to speak to groups on issues relevant to relationships and emotional and spiritual growth. Meredith has also been co-writer and co-producer in the 2007 feature film production, Twin Rivers. With her husband, Nick, Meredith has worked in the ministry since 1983. Meredith and Nick have one daughter and two sons. I liked Mellington Hall as well, Amanda. I wanted to jump into the pages and give a few characters a piece of my mind. Any book that evokes that kind of response is pretty good in my opinion. It also kept me guessing, which is a hard thing for an author to do these days, we are all so good at picking twists and turns of story lines (too much exposure probably). But this one was entirely enjoyable.